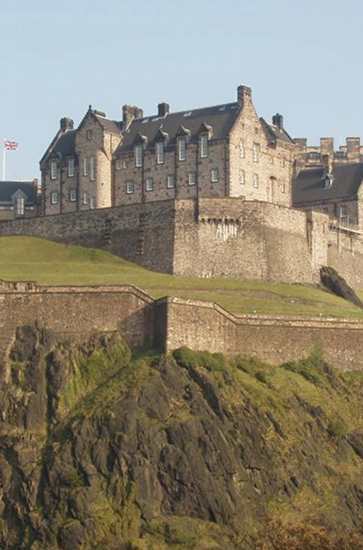 Edinburgh, Scotland's capital, is a city which has regained its confidence. Its historical treasures, and in particular Edinburgh Castle and the Royal Yacht Britannia, remain important visitor attractions. But they are these days joined by the recently created National Museum of Scotland, Scottish Parliament and the trendy annual Edinburgh Festival. Found at the end of the Royal Mile, and sat on top of the volcanic Castle Rock, Edinburgh Castle dominates the city's skyline. The Castle was a royal residence from the twelfth century until the Union of the Crowns in 1603. It has also been the site of some of Scotland's most famous conflicts, including the 14th century War of Independence and the 18th century Jacobite Rising (where the Jacobites, under the command of Bonnie Prince Charlie, laid siege to the Castle). Virtually all of the Castle's buildings date from the sixteenth century, with their predecessors having been destroyed in the Lang Siege. The exception is the twelfth century St Margaret's Chapel, Edinburgh's oldest building; this Romanesque structure was comprehensively restored in the nineteenth and twentieth centuries, with stained glass windows depicting saints and William Wallace added in 1922. The Castle retains a ceremonial military presence, with the one o'clock gun (first used to help mariners keep track of time) fired to this day. Other notable features are the Great Hall (in which a banquet for Charles I was held in 1633, and which is still used for important state occasions), the Scottish Crown Jewels (dating from the fifteenth and sixteenth centuries, and first used together at the 1543 coronation of Mary Queen of Scots), and the Royal Palace (in which Mary Queen of Scots gave birth to James VI in 1566). when? Apr - Sept: 9.30am - 6pm; Oct - Mar: 9.30am - 5 pm. 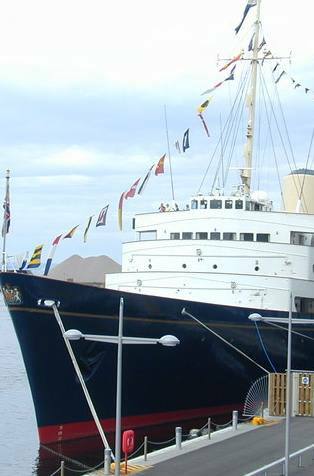 Closed 25 and 26 Dec.
HMY Britannia was the Royal Yacht used by Queen Elizabeth II between 1954 and 1997. Over that period, it took almost 1,000 trips and welcomed countless world leaders and other dignitaries. They included Presidents Eisenhower, Ford and Reagan, Charles and Diana (for their honeymoon), Nelson Mandela, Winston Churchill and Boris Yeltsin. The Yacht also evacuated more than 1,000 refugees from the 1986 Aden civil war. Its last mission was to convey the Prince of Wales and the governor of Hong Kong away from that territory after its handover to China in 1997. The Yacht weighs 5769 tonnes, is 412 feet long, 139 feet high and 55 feed wide; propelled by a 12,000 horsepower steam turbine, it has a top speed of almost 40 kmph and a range of 4,400 kms. During its working life, it was staffed by a crew of 19 officers and 217 Royal Yachtsmen. Visitors are able to explore five of the Yacht’s decks. Highlights include access to the State Apartments (including the Queen’s bedroom and state dining room), the crew’s quarters, the gleaming engine room, and an on-board garage housing one of the Queen’s Rolls Royces. Refreshments are available at the Royal Deck Tea Room. where? Ocean Terminal, Leith, Edinburgh EH6 6JJ. The terminal is about 2 miles from the city centre. when? Nov - Mar: 10 am to 3.30pm; Jul - Sept: 9.30 am to 4.30 pm; Other times: 10 am to 4 pm. £$€¥ Adults: £11; Concessions: £9.50; Children: £7. The National Museum of Scotland, formed in 2006 on the merger of the Museum of Scotland and the Royal Museum, is one of Edinburgh's most popular attractions. It houses a diverse range of objects, ranging from Scottish archaeological and medieval artifacts, to collections devoted to geology, natural history, science and art. Notable objects on display include Dolly the Sheep (the world's first cloned mammal), an early form of guillotine called The Maiden, a 12-foot long feast bowl from the Cook Islands, the Pembridge Helm (one of only four remaining thirteenth century Knight's helmets), the colourful Egyptian coffin of Iufenamun, a silver tea service which belonged to Napoleon Bonaparte, the front fuselage from a Nimrod military aircraft, and armor belonging to a Samurai warrior. Refreshment is available at the Balcony Café, Museum Brasserie and the critically acclaimed Tower Restaurant. when? Daily, 10 am to 5 pm. Closed 25 Dec. Limited opening on 25 Dec and 1 Jan. 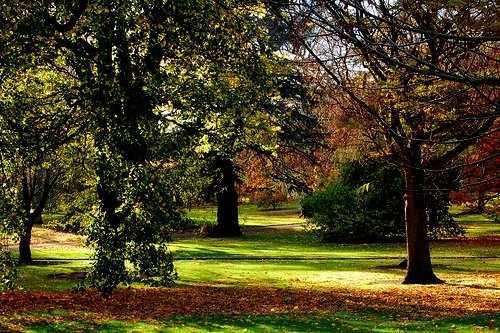 Founded in 1670, the Royal Botanic Gardens occupy 70 acres close to Edinburgh's city centre and are the second oldest botanic gardens in Britain. The gardens (and their three smaller linked gardens) house about 36,000 plants from 15,000 species (5% of all known species). They are particularly famous for their glasshouses, including the Palmhouse (built in 1858, and the tallest in Britain), the 'Windows on the World' glasshouse (featuring ten distinct climatic zones), and the Tropical Aquatic House (complete with giant water lily pond filled with coy carp). Outside, visitors flock to the peaceful Queen Mother memorial garden, the 165 metre-long herbaceous border, the rock garden and its waterfall, the Chinese Hillside (offering glorious views over the city, and home to the largest collection of wild-origin Chinese plants outside China) and the Garden's many sculptures, ponds and lakes. Refreshments are available at the Gateway Restaurant, the Terrace Café and the East Gate Coffee Bar. where? The Royal Botanic Garden, Inverleith Row, Edinburgh, EH3 5LR is situated about 1 mile north of the city centre, off the A902. when? Open daily 10am to 6pm (Feb-Oct) or 10 am to 4pm (Nov-Jan). Closed 25 Dec and 1 Jan.
£$€¥ Free to enter the gardens. Entry to the glasshouses is £4 for adults, £3 for concessions and £1 for children. The Edinburgh Festival, held between July and September each year, is the world's largest annual cultural event, made up of a number of independent art and cultural festivals. The best-known festivals are the Edinburgh International Festival (devoted to theatre, opera, music and dance), the Edinburgh Fringe (showcasing performing arts, and especially well-known for comedy), the Edinburgh Jazz and Blues Festival and the Edinburgh International Book Festival. The Festival is so popular that it is estimated that Edinburgh's population triples during its busiest periods. For example, the 2011 Fringe lasted 25 days, with 2,500 shows being held at over 250 venues; in excess of 1.8 million tickets were sold, with a further 607 shows charging no entrance fee. A number of prestigious awards are made each year, including for the Fringe's best joke. Nick Helm won this accolade in 2011, for the following gag: "I needed a password eight characters long so I picked Snow White and the Seven Dwarves." when? 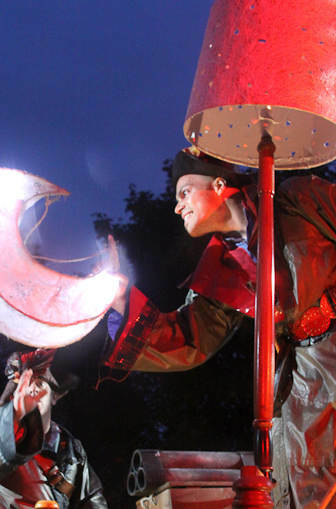 The 2012 Edinburgh International Festival is held between 9 August and 2 September; the Fringe between 3 and 27 August; the Jazz and Blues Festival between 20 and 29 July and the International Book Festival between 11 and 27 August. £$€¥ Shows vary in price. Some are free. The most popular charge about £20 a ticket. Details are published each day online and in the local newspapers. Accommodation is expensive during peak periods, and so advance booking is recommended. 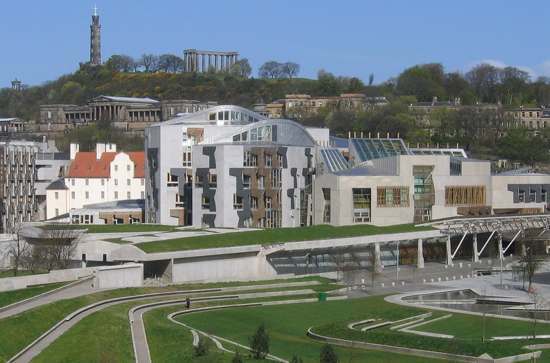 Located in the Holyrood area of Edinburgh, the Scottish Parliament is the unicameral legislature of Scotland. Home to 129 Members of Scottish Parliament, this extraordinary structure was built after certain powers were devolved to Scotland by the Scotland Act 1998. That Act reversed the 1707 Act of Union, which saw Scotland surrender power to the British Parliament sitting at Westminster. The new Scottish Parliament building, designed by Catalan architect Enric Mirales, was opened by Queen Elizabeth II in September 2004. Costing £414 million (a ten fold increase on construction estimates), the structures are an eclectic mix of steel, oak and granite. Don't miss the Garden Lobby's twelve leaf-shape rooflights, the Debating Chamber's 30-metre long oak beams, ceremonial mace and Arniston stone (a lintel reclaimed from the pre-1707 Parliament building) and the Parliament's traditional garden (with pear and apple trees, herbs used in the Parliament's kitchens, and flowers selected to mirror the main party colours of yellow, blue and red). where? The Scottish Parliament, in the Holyrood area of central Edinburgh, is found at the foot of the Royal Mile, on Horse Wynd, opposite the Palace of Holyroodhouse. when? Monday to Saturday, 10am to 5pm (or 6.30pm on Tues to Thurs when Parliament is in session). Free tours, which take in the Debating Chamber, the Garden Lobby and a Committee Room, can be booked on the Scottish Parliament website.